The Flash season 4 finale was pretty much one bit of sci-fi nonsense mumbo jumbo after another. But, the character moments all worked so well that it really didn’t matter. 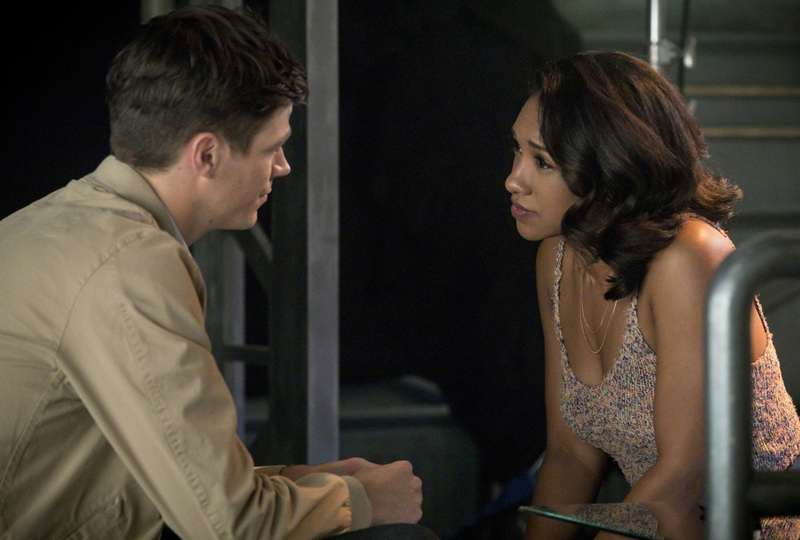 Iris West-Allen successfully brought Marlize DeVoe into the fold. She realized that Barry Allen could enter Clifford DeVoe’s mind using Cecile Horton’s powers. Cecile was already dilated. Her powers were dependent on having the baby still inside her. So, there was a real ticking clock. This was both ridiculous and something that genuinely made the episode more exciting. Once inside DeVoe, Barry encountered Ralph Dibny. This was a reminder that DeVoe is still inside Ralph’s body and he has to actively push Ralph away. They realized that if they could get past the army of DeVoes in his subconscious and Ralph could get to an exit, they he could regain control of his body. This ridiculousness followed roughly the same logic in the Legends of Tomorrow episode “Land of the Lost.” Knowing these shows, the continuity seemed purely coincidental, but it really helped me buy the conceit of the episode. Besides, I just wanted Ralph alive by any means necessary. Meanwhile, Cisco Ramon restored Harry Wells’ mind. When Cisco realized that Harry didn’t have his full genius, he felt devastated that he’d failed. But, Harry assured him that it doesn’t matter to him to have a genius IQ, he’s happy to be himself. This was a fantastic arc for Harry. In an incredibly emotional scene, Harry told Cisco that he loved him. The fact that Harry, not Cisco, was the one who was able to say these words beautifully completed Harry’s story. The episode ended on by far the best season cliffhanger The Flash has ever had. Nora Dawn Allen showed up to tell Barry and Iris that she’s their daughter from the future and she’s made a big mistake. Seeing her approach not only her parents, but their entire group of family and friends, and admit that she needs their help was a perfect hook for next season. Unlike the hint of a new big bad, Nora’s arrival evoked an instant emotional response with real stakes for our heroes. The casting of Jessica Parker Kennedy was absolutely perfect and I can’t wait to watch this story next year.